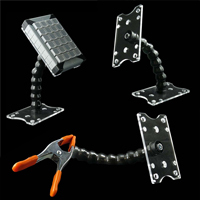 Interchangable handgrips, available in sizes Large, Medium or Small, allow a single TREWGrip Mobile Dock to be customized to suit different users. The correct size handgrip is important to ensure a comfortable, efficient experience. 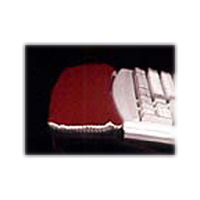 If the handgrips are too small, the user is likely to overshoot the targeted keys. If the handgrips are too large, the user risks placing unnecessary strain on the fingers and hands when reaching for keys at the centre of the device. Print a pdf of the TREWGrip Handgrip sizing chart. The USB to PS/2 Keyboard Adapter from Key Ovation is designed to permit the use of a basic USB keyboard on PS/2 equipped computers. 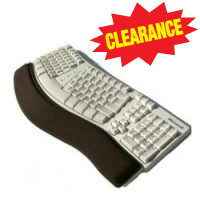 It is suited for accommodating data input on legacy computing devices that are not equipped with USB ports or which have no free USB ports available (but still have a PS/2 keyboard port). 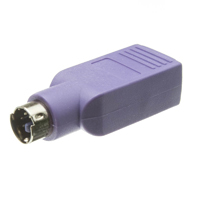 This adapter is designed to be used with keyboards that are both USB and PS/2 compliant. Basic USB keyboards, as long as they are "plug and play" and do not incorporate other devices such as touchpads, should provide basic functionality. Due to line voltage variance specialty devices will most likely NOT function. The USB to PS/2 Keyboard Adapter should also work with basic Plug-and-Play Mice.